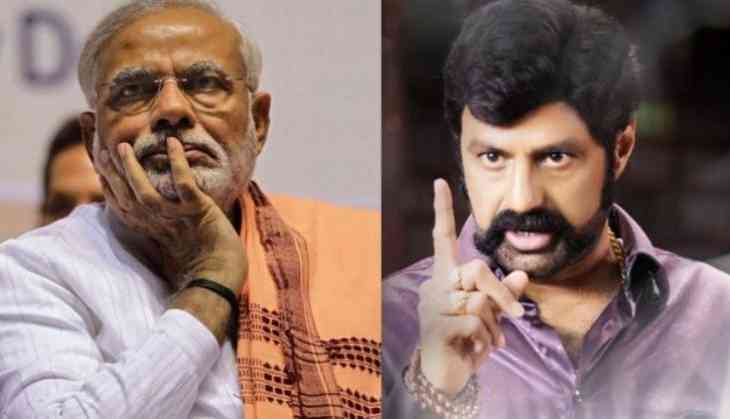 Veteran Telugu actor and Telugu Desam Party's Hindupur MLA Nandamuri Balakrishna has blasted prime minister Narendra Modi during his speech at Chandrababu Naidu's Dharma Porata Deeksha hunger protest demanding AP special status. During his speech Balayya termed Modi as a traitor. He also urged Modi to listen to the common people instead of listening Amit Shah. Balayya aslo warned Modi that entire India is against the PM. "Don't listen to Amit Shah and others who sing your praises. Listen to us, common people or else we will kick you out. The entire country is against you now," Balayya said.